The Pressure Release Valve (PRV) will prevent the tankd from being over pressureized and causing a potential failure to accur. 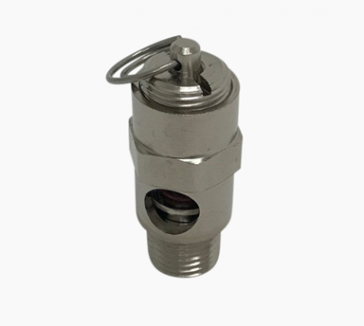 This PRV was developed to work with the CF series conical. It will keep your tank below the 15psi max working pressue rating. The PRV also has a handy bleeder pull ring to release built up pressure.